I recently tried It’s A Wig!’s “Shannan” (in color 1B) from the My Own Part collection and I’m head over heels in love with her! “Shannan” is a beautiful synthetic, iron-friendly unit with natural lace parting. I particularly love the My Own Part collection because you have the option to leave the part as is or make it into a u-part. For my “Shannan”, I didn’t split the part but I did tweeze some of the strands out of the part to make it look a little wider. The model above is wearing "Shannan" in color LX2733 with no alternation to the unit. I also chose to not secure the wig with lace glue or tape. Instead, I just cut the lace along the hairline and secured the unit with the installed combs. "Shannan's" hair is incredibly soft and it shampoos and conditions easily without much tangling, frizzing or shedding. 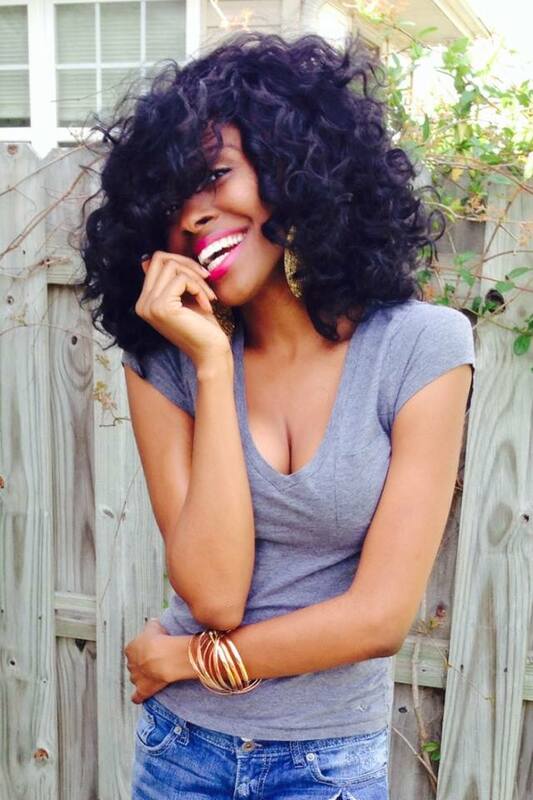 Her curls have a nice and bouncy pattern and hold really well, so you don’t have to worry about her losing her shape. Instead of rocking the bouncy spirals, though, I took about 1½ inch section of hair and held it at the top with my thumb and pointer finger. I then loosened the section’s curl with a paddle brush. I brushed the hair like this section by section for the whole unit and the end result was a beautiful, voluminous body wave pattern. To frame “Shannan” for my face, my hairstylist Stacy Hill, owner of DyeVerCity Salon in Augusta, Georgia, cut and layered the unit with shears. I’m a late 80s baby but I’m very much obsessed with 70s fashion and beauty. My version of “Shannan” really reminds me of the disco era and I can’t wait to wear it out with something shimmery and sizzling! You can order "Shannan" from Ebonyline.com, Gmbshair.com, Lhboutique.com and other online beauty retailers. Below are a few photos of "Shannan" and me! Solange: The Mane Chick of The Moment! 5 Haute Wigs for Summer Style! Old School, New School: 6 Supermodels and Their Fierce Hair Moments! Pointers on Picking the Perfect Wig for You! Tidbits to Keep Your Wig “Snatched” in the Spring and Summer Seasons! 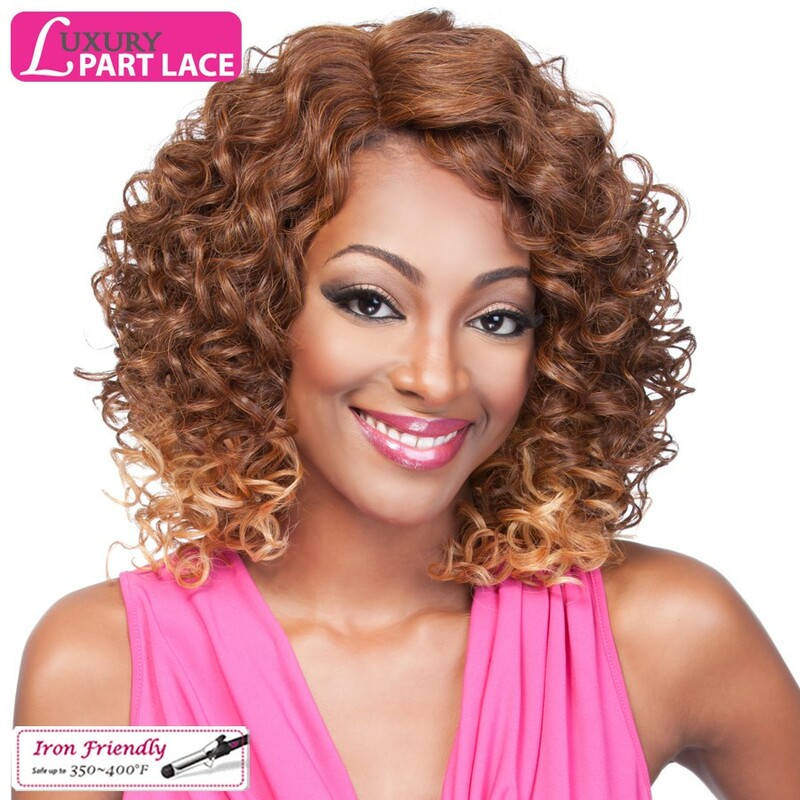 How to Make Your Lace Front Look Even More Natural! New York Fashion Week Recap: Laurel Dewitt & It’s a Wig!